MELBOURNE, Australia, August 17, 2018	(Newswire.com) - ZOI Education, with its state-of-the-art campus in Melbourne, Australia takes an innovative approach to providing work experience for those studying Early Childhood Education and Care. Students complete double the number of hours ‘on the job training’ required by the regulatory body. The program takes a fresh and integrated approach. As a result, graduates are job ready: confident and competent. 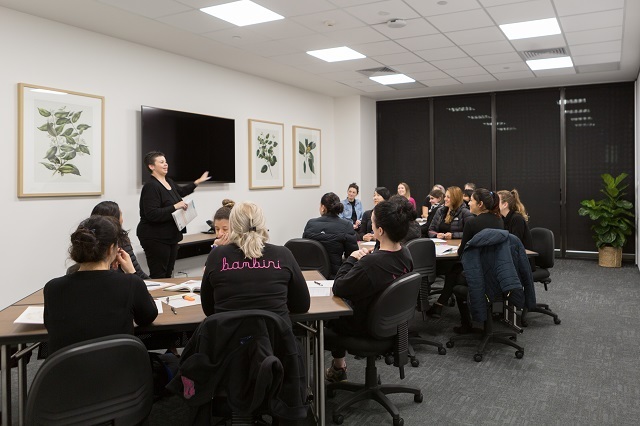 In designing and implementing their work experience program, ZOI Education has taken on board a key recommendation of The Australian Skills Quality Authority (ASQA). In 2014, ASQA noted that work experience programs in the Child Care sector were, all too often, poorly executed. ASQA called for better cooperation between education providers and child care centres, greater commitment to shared educational goals and better monitoring of students on placement. Recommendations followed industry feedback identifying many child care graduates as ill-prepared for the workplace. Child Care Centres are carefully screened to ensure they meet regulatory requirements. They must have the skills and resources to ensure first-class training and monitor student progress in partnership with ZOI Education. Paul Koukounaras, the CEO of ZOI Education explained the mission of ZOI Education, “Our commitment to learning excellence is underpinned by our selective entry process. Our mission is to nurture the lifelong learning habits of future generations through educating passionate early childhood professionals.” Students benefit both directly and indirectly from these high-quality placements. They enjoy a professional and supportive learning environment and can include placement details on their resumes. While studying Early Childhood Education, students can access a host of support services at no additional cost. These include: individual mentoring by trainers, supplementary or modified study materials, supervised study groups and job placement assistance. ZOI Education also has provided a network of external service to the students who need additional support for job ready and skills. This encourages student retention and ultimate success. Child Care Courses with proper integration of theory and practice and comprehensive support services produce graduates that are 'present and correct' on day one of their first job. ZOI Education offers a monthly free trial class for prospective students. The students who interested in childcare courses have the opportunity to experience one-hour trail class with existing currents students and trainers. After the class experience, the school tour is also provided with ZOI Education staff. ZOI Education is Melbourne's premium Child Care Training organisation, specialising in Child Care Course. ZOI's mission is to nurture the lifelong learning habits of future generations through educating passionate early childhood professionals.